Hey, folks! If you haven't had an opportunity yet and would like to support us as we walk this weekend for the American Heart Association's Start! 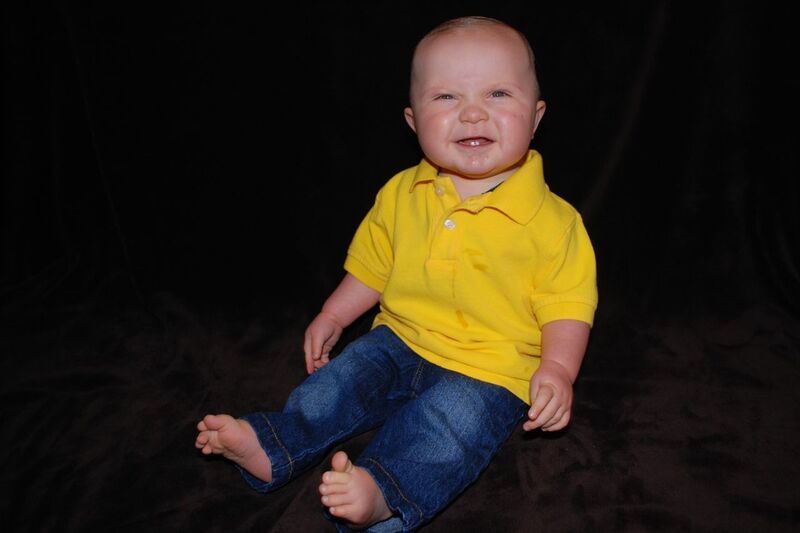 Heart Walk, please click here to give a donation in Chase's honor. I set a fundraising goal of $500, and am happy to report that we exceeded our goal and have raised $520 for heart research and treatment! The money we've raised will help fund research to develop new treatments for heart disease, heart defects and stroke. Just imagine the small gift you give today can very well make an impact in Chase's sweet life down the road. He has one more scheduled heart surgery already planned, and there's no telling the countless things that could be required as his body continues to function with a single-ventricle heart. There are babies all over the world just like Chase who desperately need newer technologies and treatments to manage Hypoplastic Left Heart Syndrome, as well as all other congenital heart defects. Unfortunately there will be thousands more babies born with a special heart like Chase's in the years to come. My greatest desire is to determine what specifically causes heart defects like HLHS. If we can find what causes it, we can take a huge step forward in eliminating it! Research to determine what causes heart defects is not cheap! We need to do all we can to figure out how to prevent CHDs and how to treat them successfully. Please consider giving a donation in Chase's honor. Your contribution will make a bigger impact than you can imagine! Oh, and Chase wanted me to give a big "THANK YOU!" to all of you who have already supported us and to each of you who will give a gift in his honor. See how happy you've made him?